This basic recipe for homemade balsamic vinaigrette dressing can be customized to make a variety of different flavors combinations and salads! I started getting serious about it this past Monday, which is about 3 years later than I should have. My New Year’s resolution (actually last 3 year’s resolutions) fell by the wayside as soon as I woke up on January 1st, which I am regretting now. 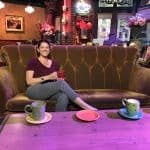 As I have mentioned in my previous post, I have started a 30 day Paleo challenge and cutting out sugar has been the hardest part of the regimen. Sigh…I miss my sweet tea in the morning! 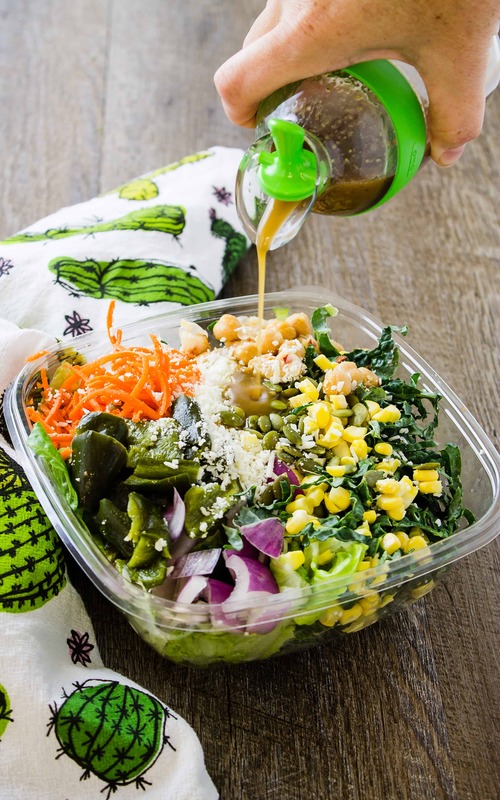 Salads have become the go-to meal but finding a delicious dressing is the biggest obstacle because every bottled dressing has sugar in it!! How do you make balsamic vinaigrette from scratch? Luckily, my mother-in-law, Judy, taught me how to make homemade dressing. She makes the most delicious Caesar salad dressing I have ever tasted. To my amazement, she made it in the bowl with the salad already in there. I don’t think she ever uses the same amount of ingredients twice, but it always tastes great. Here is my recipe for basic balsamic vinaigrette dressing that doesn’t contain sugar so it’s Paleo friendly. This dressing contains the basic ingredients that I use and leaves room to add a variety of items. Sometimes I use a sweet/hot mustard or a maple mustard, and I usually add honey. This month honey is off limits, so this dressing is a tad tart, but I find that it works well with a salad that has avocado or cheese, as it cuts through the richness and fattiness of those items. If you are not doing Paleo, you can add 1-2 tablespoons of honey or agave to balance out the flavors and acidity. Replacing some of the mustard with other things like feta cheese, chimichurri, or horseradish sauce can be fun twists as well! I hope you enjoy this recipe for homemade balsamic vinaigrette dressing! 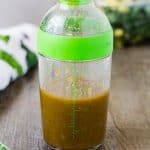 Use it as a starting off point to customizing your own salad dressings. Mix all ingredients, excluding the olive oil in a mixing bowl or storage container. I use a mason jar because it is compact and has a tight-fitting lid or a salad dressing container! Once mixed, taste and make sure that the seasonings are to your liking, and adjust accordingly. It will taste strong at this point, but the oil balances that out. *Mine never lasts this long as I use mine as a marinade for meats as well! *If you like this recipe, leave a comment and rate it with some stars. Thanks! Balsamic Vinaigrette is my favorite dressing and marinade. 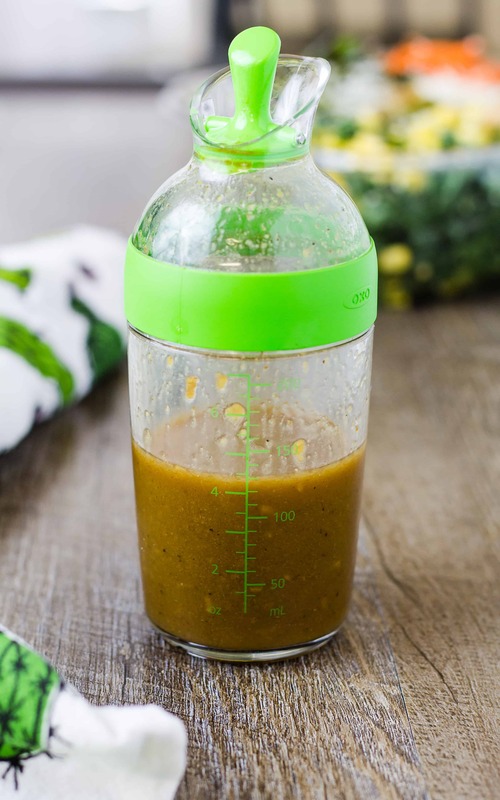 I am getting a salad dressing shaker ASAP so I can make my own. Less sugar is always good.